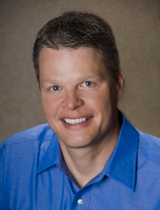 Dr. Jett is a native Salinan and a graduate of Emporia State University and Northwestern University Dental School in Chicago, Illinois. He has studied at the Pankey Institute in Key Biscayne, Florida, and trained with some of the world's most prominent cosmetic dentists. 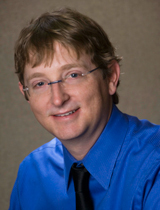 Currently, Dr. Jett studies at Arrowhead in Salt Lake City, Utah, and attends various other courses to bring the absolute latest in dentistry to the Salina area. The other passions in Dr. Jett's life are his wife, Melinda and children, Carson and Harrison. In Dr. Jett's free time he enjoys fly fishing, golf (sometimes), and most other outdoor activities. Dr. Koksal grew up in Garden City, Kansas, and attended the University of Kansas, graduating in 2002 with a degree in Human Biology. He completed his dental degree at the University of Missouri-Kansas City in 2006. In addition to keeping up with the latest in dentistry, Dr. Koksal enjoys spending time with friends and family at Lake Wilson. He enjoys hunting, water skiing, snow skiing, and just about anything that involves outdoor exploration. Dr. Koksal and his wife, Michelle Nunes -- also a dentist -- are new parents to baby Jake, born in March 2011.